Hello, my name is Paul R. Paradise. That’s me sitting to the left with a smile. 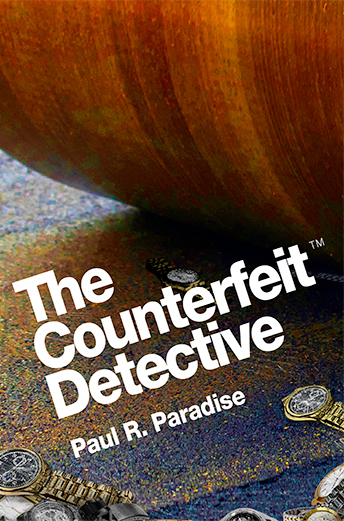 I’m feeling good because my novel “The Counterfeit Detective” will be available in about a month or so. The novel is based in part on an award-winning short story and also on a chapter length profile of real-life PI David Woods. 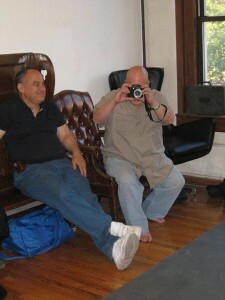 Dave handles intellectual property or “trademark cases,” as they’re called the business. 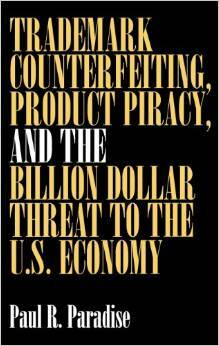 Many of his investigations involve counterfeit apparel. One of Dave’s best cases involves a counterfeit car. The Ferrari seen on the first year of the TV show “Miami Vice” was not a Ferrari at all but a custom car kit. Dave handled the investigation that had the custom car kit company cease marketing its products.